Toronto police need help to identify a suspect they believe may have been involved in an arson at a hotel that is home to refugees. Back on Oct. 2, emergency crews were called to the Radisson Hotel at 55 Hallcrown Place, in the Highway 401 and Victoria Park Avenue area, shortly after 10:30 p.m.
Police quickly evacuated the hotel and put out the blaze, which an investigation later determined was started on the third floor. The fire was "started intentionally," police said in a news release issued early Friday. A gas can was discovered on fire in a hallway. The hotel's smoke alarm alerted an employee, who was able to kick the can into the stairwell. One refugee from Sudan who is staying at the hotel with her husband and eight-month-old daughter, told CBC's The Current this week that the ordeal was "like a nightmare." The Current agreed not to reveal the woman's identity out of concern for the family's safety. She described hearing the fire alarm late that night and trying to evacuate via the stairs. "We were holding the children — even other people's children — because they were in hurry and they were crying. Most of them they were almost sleeping," she said. The woman said she believed the hotel was targeted because of the refugees staying there. "I know there are some small groups … some people that are protesting, that they are saying: 'They are taking our money, they are taking our taxes, just to give them a better life,'" she said. "But it's not true, we just want to find a safe place." On Friday afternoon, a spokesperson for Toronto police told Radio-Canada "there is no indication" that the hotel was targeted. "There is no indication that any of the incidents are related at this time." In a statement, Mayor John Tory called the incident "extremely troubling." "I can't imagine how cruel and evil a person has to be to knowingly light a fire inside a hotel while people are sleeping," he said. "It is deeply concerning to even contemplate the possibility of this being a hate-motivated, targeted act aimed at innocent refugees." 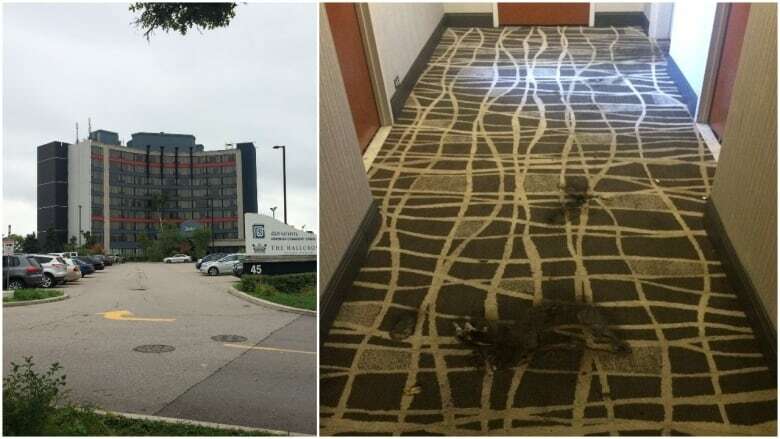 The hotel told The Current that it was an honour to assist the City of Toronto by providing housing and its management is installing extra surveillance cameras in the wake of the fire. As of Oct. 1, the hotel was home to 577 refugees. Patricia Anderson, who works with the city's Shelter, Support and Housing Administration division, said that approximately 2,600 refugee claimants are currently in the city's permanent shelter system and the temporary refugee response programs. In his statement, Tory said the city is working with the federal government to deal with the influx of refugees and ensure they have shelter, "but I know the vast majority of Toronto residents and Canadians wish them absolutely no harm. Every person in Canada has a right to feel safe and should not fear for their safety." Police have released images taken from security cameras of someone they believe may have been involved. A police press release identified the suspect as a woman, but Arrogante later clarified that the gender is unknown. 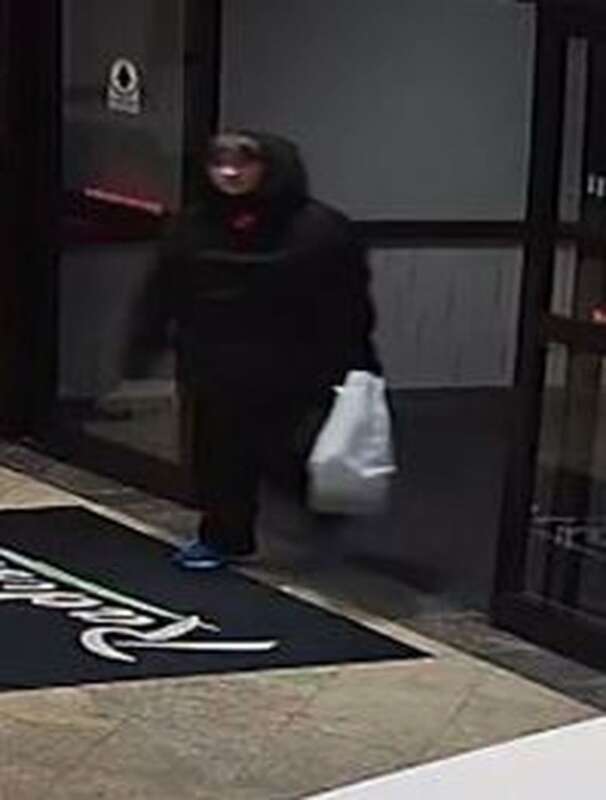 The suspect is described as standing between 5'6" and 5'8" with a medium build, and was wearing a black hooded jacket, dark pants and blue running shoes.